Read a story about over 500 folks driving down from the Cleveland area to watch this weekends game. Vancouver's Michael Nanchoff and the Crew's Josh Williams are from the Cleveland area. Both might play this weekend. I don't know if Williams or Nanchoff follow the Browns. It matters little, though. Both of them (and injured Crew player Ben Speas from Stow, Ohio) know what the Browns mean to 99% of the 500 coming down and the uncomfortable feeling that black and yellow colors might make them. We can't change it, it 'tis what it is. Regardless, make those traveling Clevelanders proud, gentlemen. 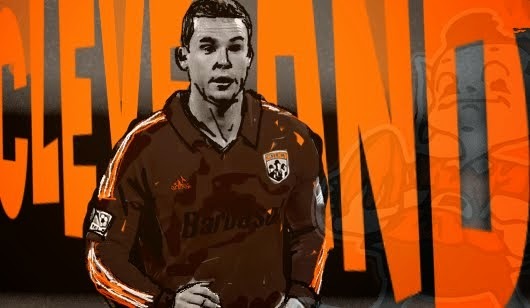 (Sigh) New Crew Signing, Part 1: Bliss!